Prosecutors dismissed the last of the charges against budtenders of the once high-flying Colorado marijuana retailer Sweet Leaf but said Monday the company’s management and co-owners remain under investigation and that more criminal charges likely will emerge. “While the budtenders were the point of sale in the distribution and possession of illegal amounts of marijuana, the larger scheme involving Sweet Leaf remains under investigation and is being considered by the Denver grand jury,” Ken Lane, spokesman for the Denver District Attorney’s Office, wrote in an email to Marijuana Business Daily. The dismissal of the remaining budtender charges were reported over the weekend by Denver TV station CBS 4. 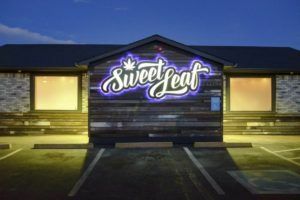 The city of Denver last month revoked all of Sweet Leaf’s 26 municipal licenses, alleging the company had engaged in an illegal multimillion-dollar “looping” scheme that allowed some customers to make multiple purchases in a day. At no point during the period in question did Colorado rules bar the sale of more than an ounce of marijuana to a single consumer per day. At no point during that time did Sweet Leaf sell more than an ounce of retail marijuana or marijuana product to any customer during any individual sale. The administrative law judge who made the recommendation to the city of Denver for the licenses to be revoked improperly relied on hearsay. More than a dozen budtenders were charged in the scheme. Most of the dismissals required the budtenders to perform 100-200 hours of community service and make a modest payment to a charity. Lane confirmed Monday that those who remain under investigation are Sweet Leaf co-owners Matthew Aiken, Christian Johnson and Anthony Sauro as well as company management at the time. Sweet Leaf didn’t immediately respond to requests for comment. Colorado marijuana regulators have since suspended Sweet Leaf licenses in Denver suburbs Aurora, Federal Heights and Thornton. Ahhh, the prohibitionists version 2.0 continue in their zealous fervour to curb the real cannabis community with their rules, regulations and violations of the Will of the People.